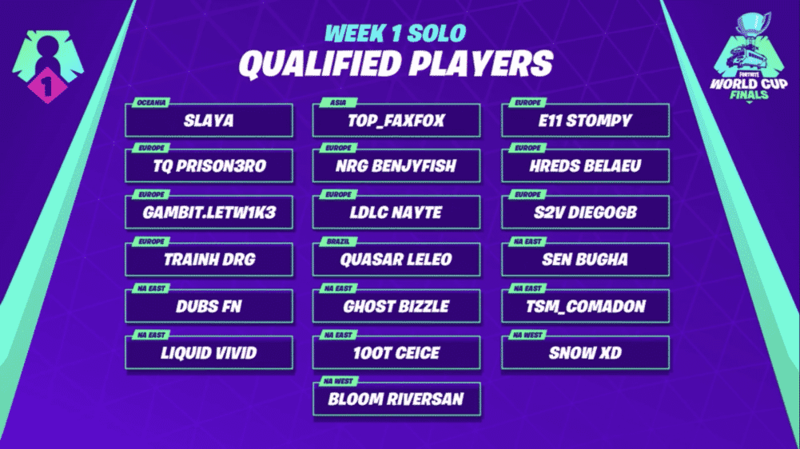 Player names, regions and social links of all qualified solo players that will heading to New York city to square off in the World Cup Finals. The World Cup online opens are under way, as 10 weeks of grind and glory will send the top 50 duos to New York city to meet in the finals this July. Some familiar faces have already qualified, which includes some new, young talent also stamping their ticket to the finals. Here is a weekly tracker of all duos who have qualified for the finals and the regions they come from. Before looking at the players who have qualified for the finals, here regional breakdown of how the 100 finalists will be chosen. The first weekend of qualifying wrapped up on Sunday April 14th with the average player age being 17 years old. The following 19 players advancing to the Finals. Dates of the next 4 solo qualifying weekends. Qualifying for the Fortnite World cup is open to all players who have reached Champions League under Arena Mode. Players then square off for 3 hours on Saturday. The top 3000 in each region move on to play the finals on Sunday as points are then reset. 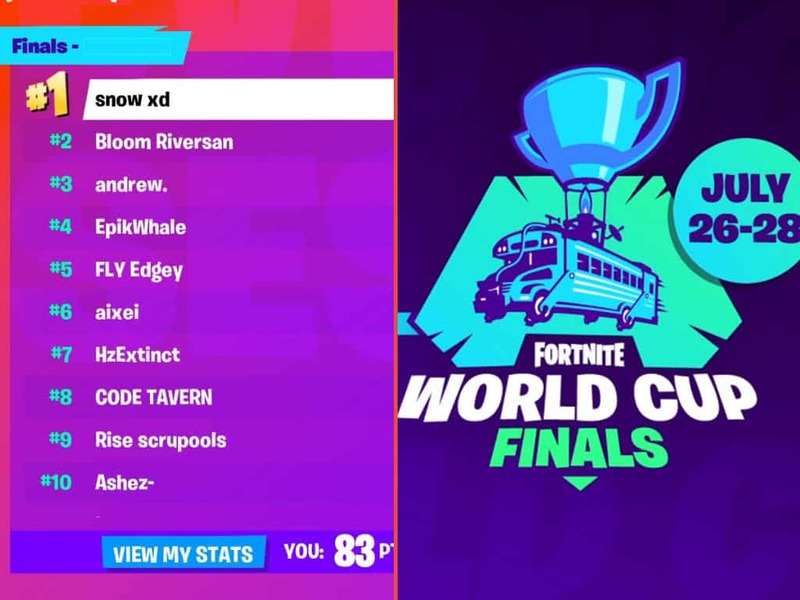 Players with the highest points per region on Sunday then advance to the grand Fortnite World cup finals set to take place in New York City, from July 26-28.